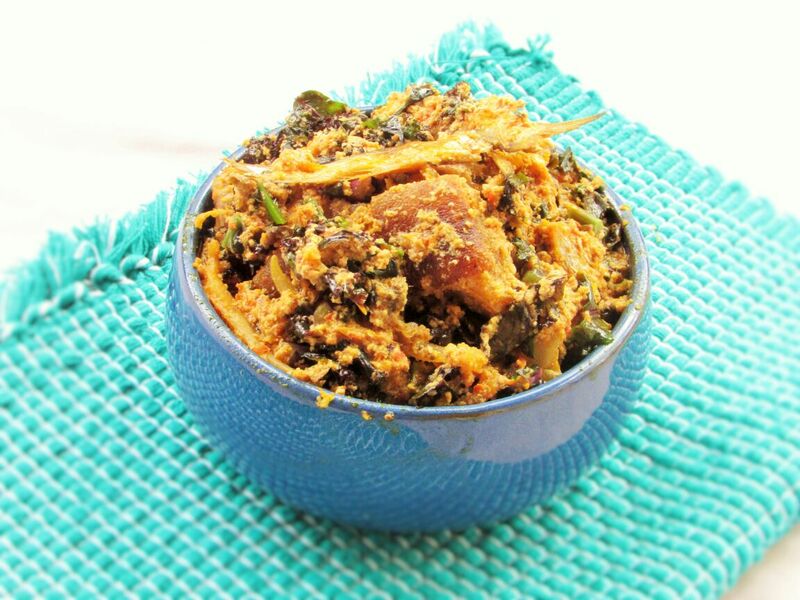 Apart from Ogbono and Okra, Egusi is quite a staple in my home and I learnt that with cooking it, less is actually more with it’s seasoning as Egusi can be slightly sweet. Even with using vegetables, I like using crunchy vegetable for this soup. 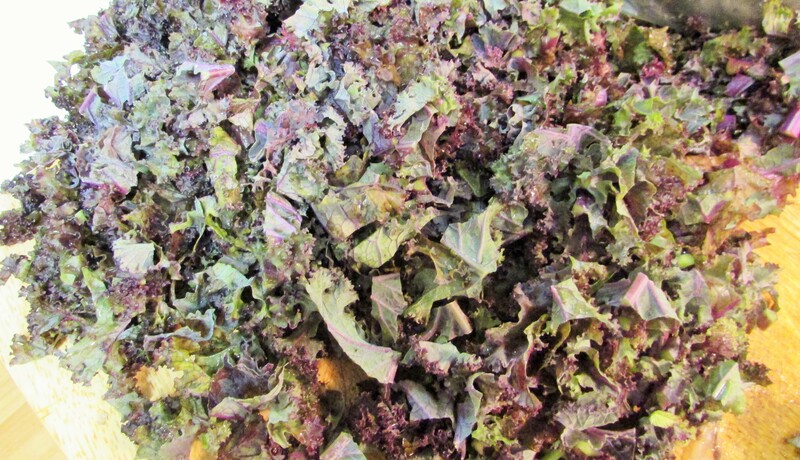 I prefer pumpkin leaves ie Ugu, but due to location issues, I stick to kale and I add just a bit of water leaves. 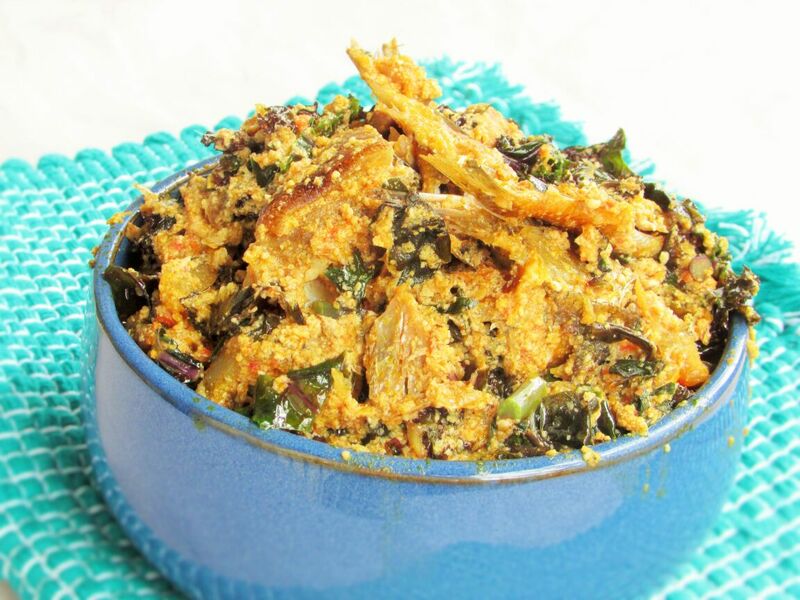 There is another version of Egusi with bitter leaves which I really love as much as I do this one. I also have a really rich version of this soup which I developed by myself and it involves the use of the condensed palm nut juice. It is also quite easy to make. I hope to share that recipe with you guys. I love that Nigerian soups can always be made with more than one method. I like this version a whole lot because I get to have my tomatoes and green leafy vegetables. In a cooking pot. season the goat meat with salt, chopped ata-rodo, one remaining part of the onion and the maggi crayfish, pour water enough to cover the meat. Cook the meat on medium heat until done. Just like with Ogbono, you have to be careful with seasoning egusi. it is quite sweet and can get salty easily. 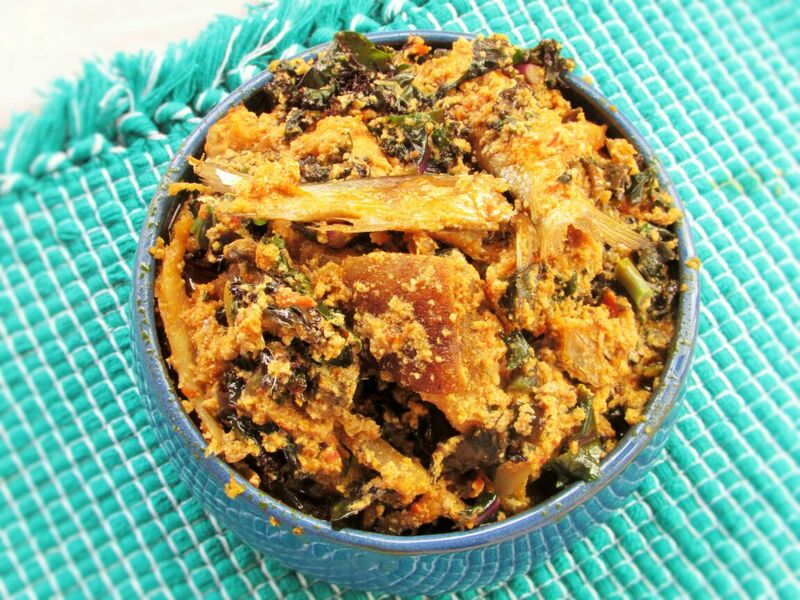 This entry was posted in Egusi Soup, Nigerian sauces, Nigerian soups, Sauces, Soups and tagged Egusi, Egusi amd tomato soup, Egusi and efo, Egusi and kale, Egusi and pumpkin leaves, Egusi and tomato, Egusi and Ugu, Egusi and vegetable soup, Egusi soup, melon, melon soup, Nigerian sauces, Nigerian soups, Vegetable and Egusi, Vegetable soup. Welldone Nma! I made d eggroll for my family on saturday, following is recipe, it was a hit. Evritin vanished within 15mins. Making anoda batch dis coming weekend. Love ur blog. I am so happy to hear this good news Joy! Thank you Thank you Thank you! Easy to follow recipe and one that shall replace the others. It was a huge hit with my husband. Thank you!